Real outer and inner pockets! Is it time for prom already? There's some big decisions to be made... ask Dad if you can borrow the Mustang? Which corsage should you buy? Most important, what should you wear? 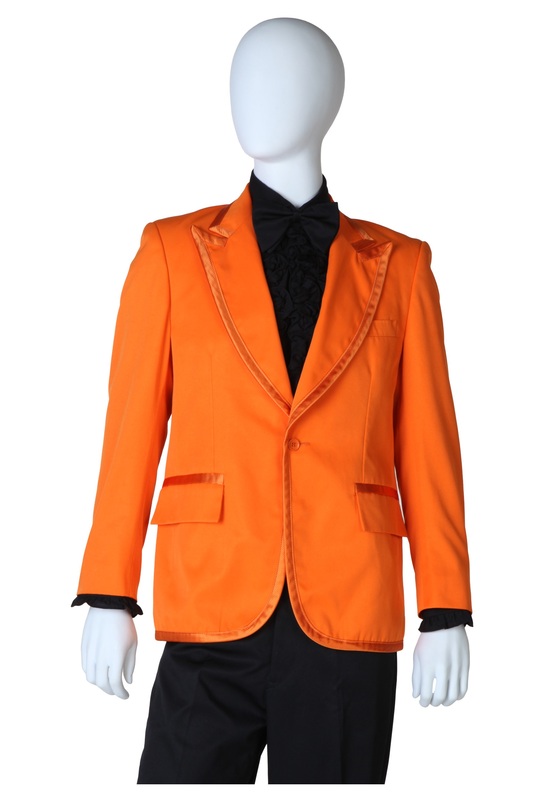 The choice is obvious: be bold, dashing, and bright orange with this tuxedo jacket! You'll stand out wherever you go and it will have people talking. Everyone loves a guy with a sense of humor! The response will be nothing less than positive, but don't forget to check out all of our orange tux accessories to complete it!